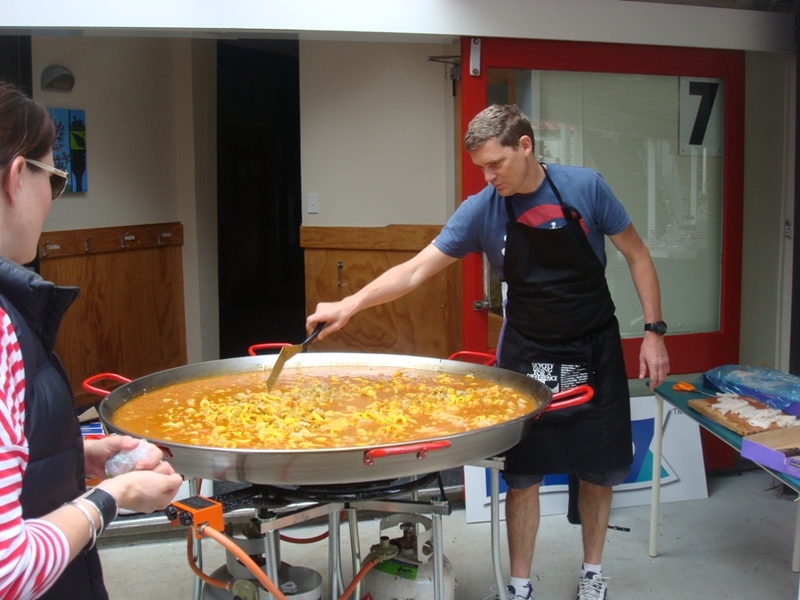 Four Acres Ltd, extends it's portfolio and launches Paella Catering Service. Cook your own Paella in the comfort of your own home and impress your guests. It's simple and easy to do as we do all the hard work for you. We precook the main ingredients and deliver them to you along with the Paella cooking equipment (except for the gas bottle). All you have to do is heat the ingredients, add rice, and simmer. When the rice is cooked, add the seafood and roasted peppers, put the lid on and wait five minutes. It really is as simple as that! This cooking technique is identical to how many Spanish restaurants prepare and serve Paella. And when the party's over, you don't even have to clean up the equipment - we collect it and do that for you. Parties are suddenly easy! Our Paellas are absolutely authentic. The secret to their great taste is in the preparation of the stock in which the rice cooks and the spices are imported from Spain to ensure a consistent-tasting Paella each time. All you have to do to complement your Paella is buy some good, crusty bread, some Spanish wine and green salad and you have a spectacular meal for up to 50 people. Paella is also excellent warmed up the next day, so nothing need go to waste. So why buy expensive home-delivered Paellas when you can cook one at home for a fraction of the cost? Paellas take approximately 30 minutes to cook and can be served straight from the Paella Pan, their visual presentation is spectacular and they can be cooked indoors or outside for a truly versatile catering option.